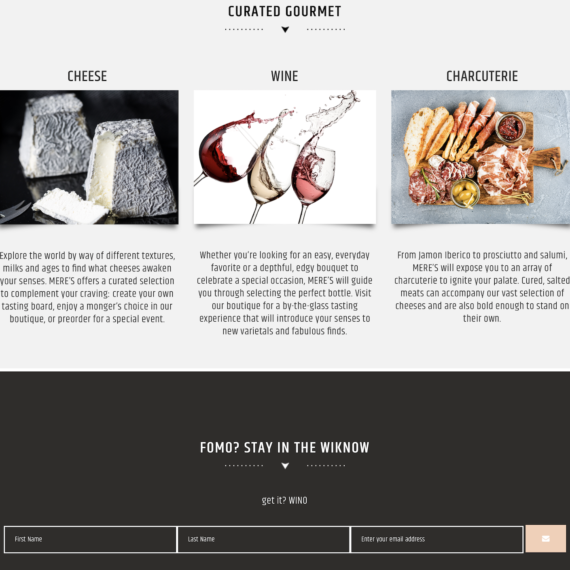 After many years, MERE’S has finally become a reality, and I’m excited to introduce the Charlotte area to a cheese and wine boutique that channels the personality of European-style fromageries. 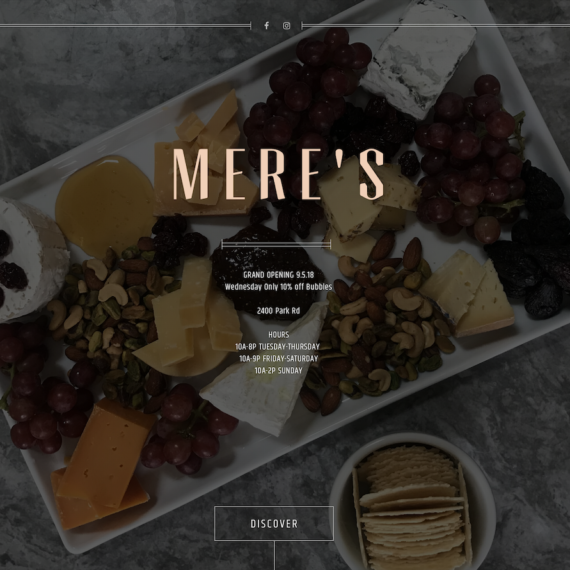 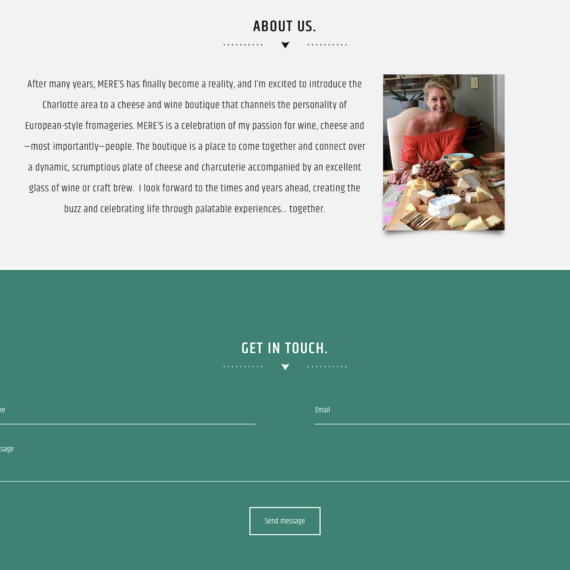 MERE’S is a celebration of my passion for wine, cheese and—most importantly—people. 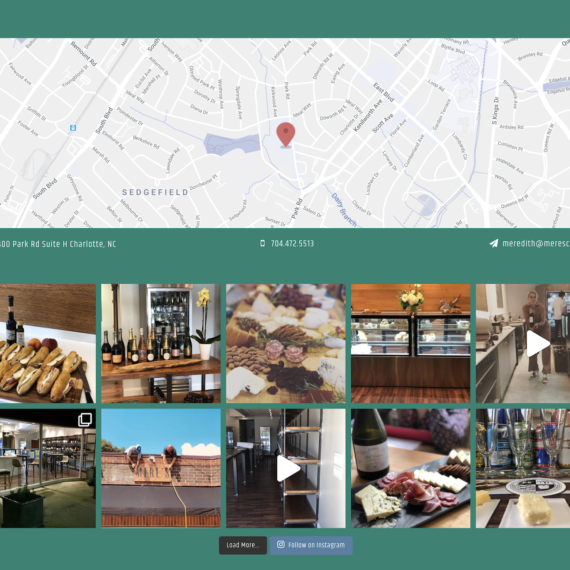 The boutique is a place to come together and connect over a dynamic, scrumptious plate of cheese and charcuterie accompanied by an excellent glass of wine or craft brew. 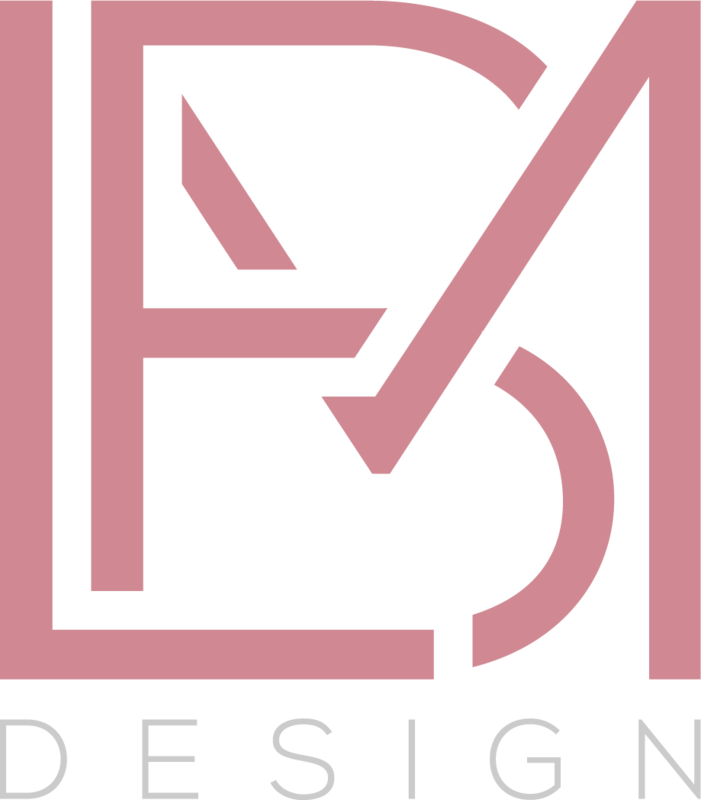 I look forward to the times and years ahead, creating the buzz and celebrating life through palatable experiences… together.